Brace Yourself, It's Termite Season! This is the time of the year subterranean termites foraging begins to increase all over Australia. Although termites forage all year round, their activity will increase with the warmer weather. Areas such as Geelong, Melbourne and Mornington are just some of the areas that are of high risk to termite activity. In reality, all areas in metropolitan Melbourne, outer suburbs and country Victoria are at risk of being attacked by termites. These pests nest in trees and homes, feeding on landscape timbers, timber on ground, grasses, fallen branches and dead trees. The first sign of termites that most people see in their yards are flying termites, known as Alates. These flying termite are on the lookout for a suitable site to start a new nest. This could be a tree in your yard, landscape timbers or even inside your home. All homes have some form of timber or products that contain cellulose that termites are hungry for. 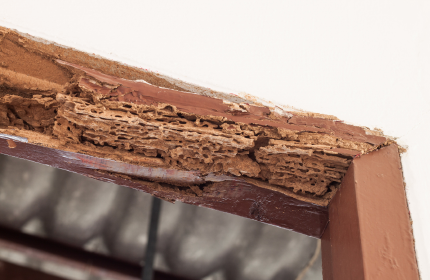 Foraging termites have a tendency to find timber and products such as foam and plaster. These pests will feed on anything from structural timbers to flooring and roofing materials. Even steel framed homes are not immune to these disastrous pests. Termites have the potential to cause large amounts of damage to your home undetected. According CSRIO, research has shown that 1 in 3 homes will be affected by termites across the lifespan of the home. If you have found or suspect any termite activity, do not disturb them. Call Dawson’s Australia on 9222 2266 for advice on termite protection and termite treatment. What can you do to protect your home from termite attacks? 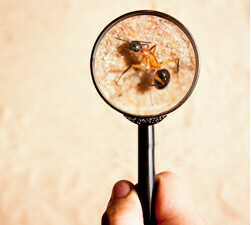 · Have regular termite inspections on you home and property once a year to limit any damage caused by termites. · Reduce all conducive condition around your home that may attract termites. o Remove all timbers and store items for under your home. o Ensure you have good ventilation under your home. o Do not store timber near or against your home. o Ensure there are no water leaks under or around your home. o Regularly check all guttering and down pipes are clean and free of debris. o Hot water units need to be checked for overflow and ensure connected to a drain. Protecting your home from timber pest should be a priority. We recommend starting with a visual termite inspection carried out to the Australian standard 3660. This will identify the extent of termite damage to your home. This will provide you with the best course of action to best protect your home from subterranean termites.